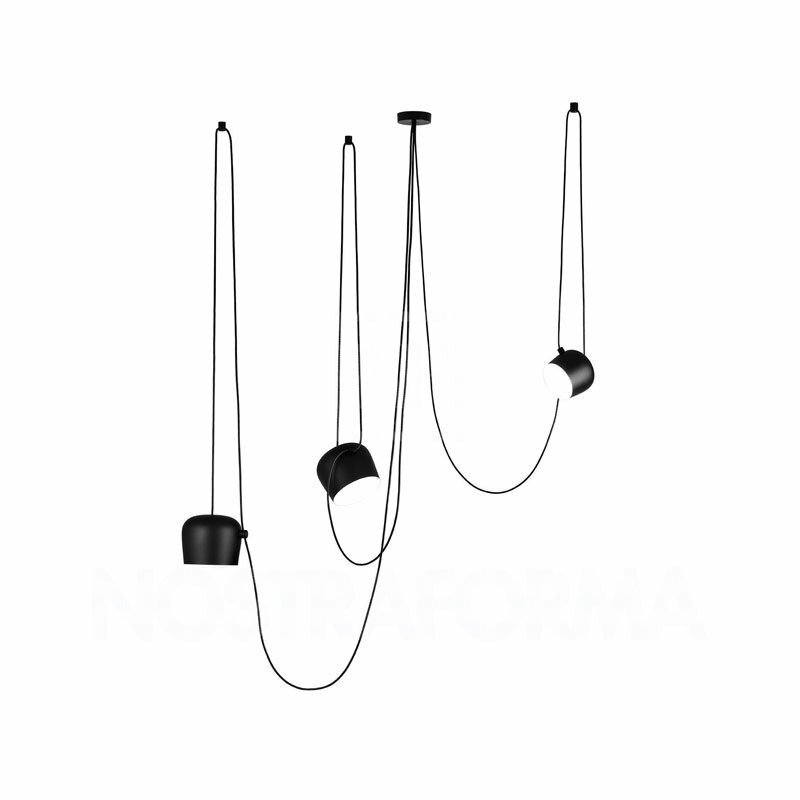 The AIM Pendant Light, designed by brothers Ronan and Erwan Bouroullec for FLOS, challenges the conventions of lighting design. Instead of being made to be hidden, the substantial cord is a central design element that can be looped, gathered, crossed, or draped to add sculptural intrigue. The length of the cord allows you adjust the height and direction of the lamp as needed, and the dimmable LED creates a variety of moods. Produced out of polished aluminum, ABS, and polycarbonate, the AIM Pendant is a lighting fixture that approaches the impact of an art installation.